The client is a full service CRO, offering drug development & discovery services to pharmaceutical & biotech companies worldwide. As the client deals with supplying Blood samples and laboratory specimen, they have to be carried out from one place to another and it is very essential to maintain the temperature and humidity in between a set threshold. The client’s requirement was to monitor the temperature and humidity inside their delivery vehicle; along with that, they required a single sophisticated system to monitor the parameters of chiller units. Chiller units were fitted in their vehicles to carry Blood samples and laboratory specimen, which will maintain a certain temperature inside the unit. Trinetra has been provided to the client with comprehensive vehicle monitoring solution to overcome challenges, where value-added products are developed and formulated in large scale, transportation of such high valued products and providing on-time delivery is their major criticality. Now, with assistance of Trinetra, the stakeholders have access to their vehicles usage, Trinetra comprises of GPS Fleet Management hardware supplemented with user-friendly interface to cater the needs of our customer. Trinetra offers an extensive solution to the customer to capture all vital information such as vehicle utilization, location, temperature; humidity and security related parameters are provided in high quality standards with seamless operations. Trinetra helps the client to meet Service Level Agreements (SLA) by avoiding delay; fast turnaround time is achieved on regulatory standards, by calculating the approximate time required for the vehicle to reach the next pick-up points. Real time data acquisition plays a major role in delivering the products in which temperature and humidity is the major constraint. The temperature sensors through which temperature can be monitored are scrutinized, hence safety of the specimens is ensured. Trinetra helped the client by offering end-to-end quality service in managing the vehicles by showing location update, status on parked and idling, delay notification, which leads to quick pick-ups of the specimen. 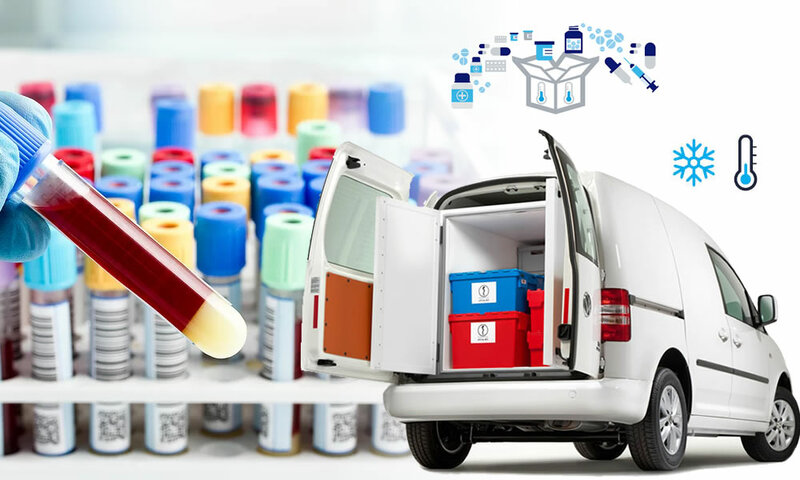 As a huge number of vehicles on the field are monitored with high importance, Trinetra provides real time vehicle monitoring solution for better dispatching of the collected samples and eliminates redundant travel by consolidating specimens pick up. Effective utilization of the fleet is achieved by planning the daily pick-up services with high quality standards. The client is dealing with delivering processed foods to restaurants, grocery stores, caterers and institution along the Front Range. Due to the quality and time adherence by the client, they are able to continuously cater in this business. The client wanted an application to track his fleet vehicles as he is in a need to streamline their process in terms of timely delivery and time adherence. 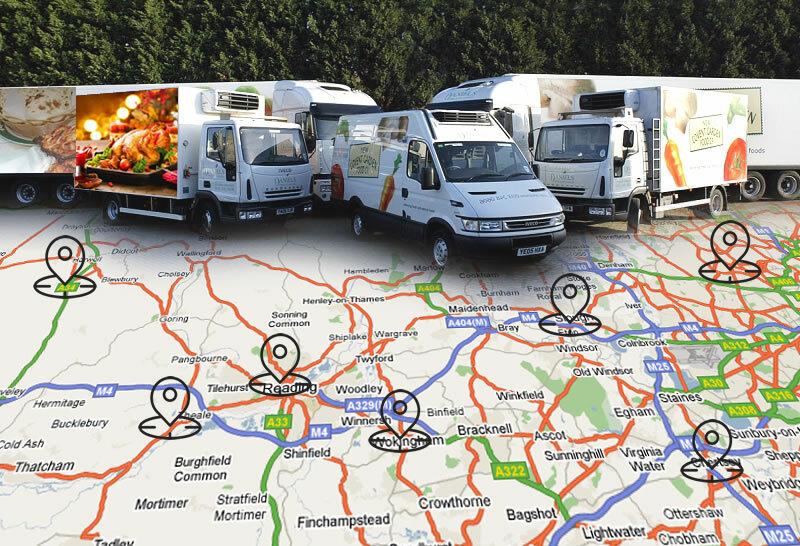 Trinetra helped the client to monitor vehicles used by the food distribution company based on their fleets, where it also helped them to monitor the trucks based on the routes set by them, drivers are instructed to take the route assigned to them and to deliver the foods on time without any deviation or missing any location. Instant alerts will be provided to the client on visiting each drop points and the journey plan for each drivers will be scheduled by the admin on a day to day basis which is sent to the respective drivers in advance, vehicle movement can also be taken as a report and scheduled to their respective stakeholders. With our real time monitoring option client can locate their vehicles exact position and also monitors the temperature inside the containers in case of frozen foods. Trinetra has been a powerful tool to monitor the vehicle as well as to schedule the vehicle for on time deliveries. It has become much easier for the client to monitor and maintain huge fleet of vehicles easily and effectively.